The Fulltone MDV-3 effect pedal is about as close as you can get to the sound of an authentic, vintage Univibe pedal. That's because Fulltone went above and beyond to use components as close to the originals as possible, right down to cloning 1960s photocells to get the right rise and fall times. But when you plug your favorite guitar into the MDV-3 and crank up your amplifier with a bit of overdrive, all technical thoughts will quickly fade away with the pulsating, undulating modulations the Univibe was legendary for. Call Sweetwater to add the Fulltone MDV-3 to your pedalboard today. Fulltone's efforts to make the MDV-3 an exact Univibe clone are nothing short of amazing. Pros such as Robin Trower and Peter Frampton have been using previous-generation MDV pedals with nothing but praise for them. With the MDV-3, Fulltone went even further by cloning 1960s photocells to get the right rise/fall times for this classic modulation effect. There are no op-amps in the signal path, and the MDV-3 even uses the same preamp transistor the original Univibe used. The Fulltone MDV-3 runs at a full 18+ volts, and it includes a power supply. It has a unique voltage doubler circuit to boost the voltage, giving you more headroom and wider dynamic range. You get the higher-voltage operation many pros prefer while maintaining the convenience of using a standard power supply. The list of Fulltone fans reads like a who's who of guitar heroes. Both Ron Wood and Keith Richards have Fulltone gear in their touring rigs, as does Nigel Tufnel from the legendary British metal band Spinal Tap and Boston badboys Joe Perry and Tom Hamilton. Punk/rockabilly mainstay Reverend Horton Heat is a Fulltone convert. 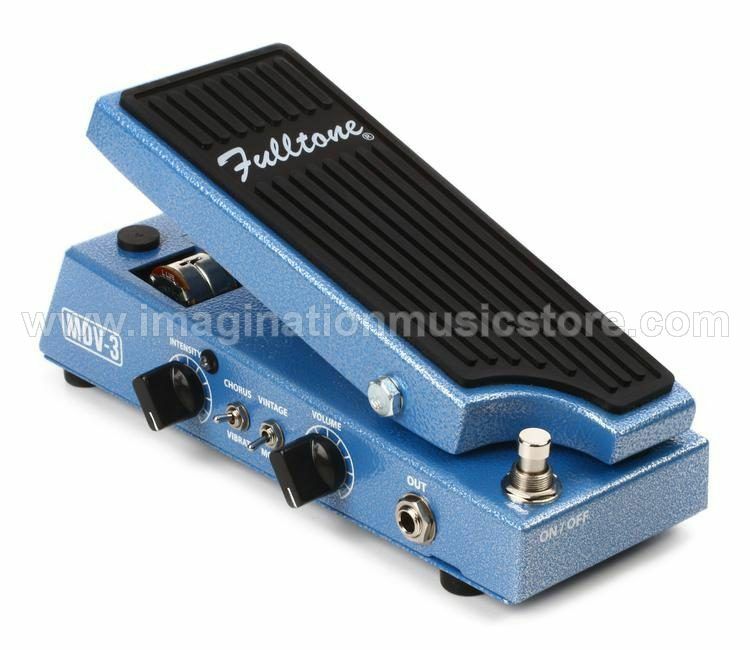 Other notable Fulltone users include Pearl Jam's Stone Gossard, Jack Bruce of Cream, perennial alt rocker Lou Reed, and Tom Petty along with Heartbreaker Mike Campbell. You're in good company with the MDV-3 on your pedalboard. You definitely want the Fulltone MDV-3 on your pedalboard!